Summer is king in Greece and definitely the best time of year to be here. The sun is radiant, the sea is clear and blue. 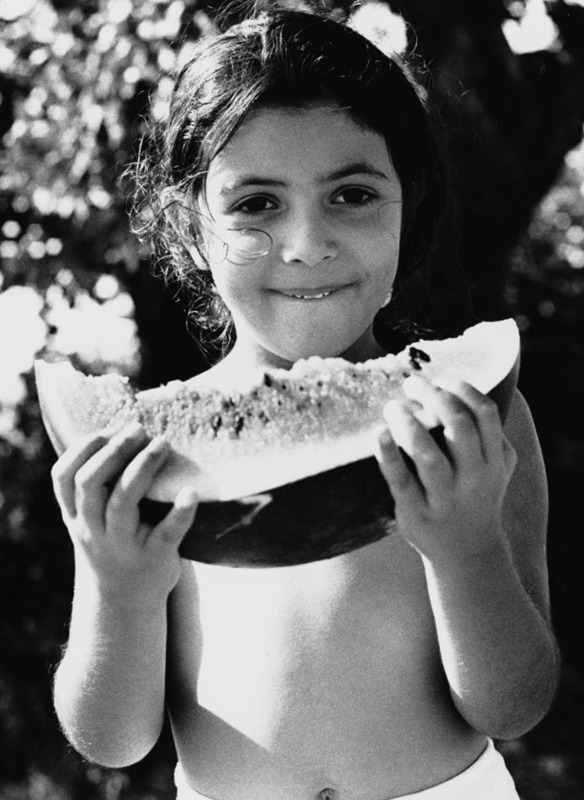 The watermelon is sweet and juicy and the best you have ever tasted and it never tastes better than it does after a mid-afternoon siesta after a day of swimming and sunbathing. The evenings are warm with a slight breeze (could be stronger if you are on a Cycladic island) and the stars are plentiful. The full moon in August is rumored to have mysterious powers! 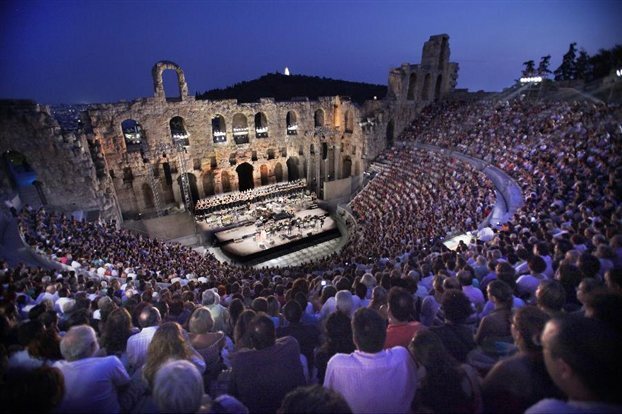 On every village, island and especially in Athens you can most definitely find an enjoyable and interesting cultural event whether it is an artistic festival, outdoor theater, concert or even cinema and the countless saint’s day festivals that take place throughout the summer. This is the time to relax and just enjoy life for everything that it brings and everything that it simply is. Hot summer days with cool intervals in the cleanest waters of the Mediterranean. Light lunches of sun drenched tomatoes, Feta cheese, Greek olives and that irresistible, no matter how hard you try to resist, loaf of aromatic fresh baked bread. Indulge in a relaxing siesta at midday in dimmed rooms with crisp white olive soap scented sheets. Forget all worries and cares and let yourself go on enchanting evenings, alive with animated conversations, song, dance and sparkling wine. I have heard many of my fellow Americans who visit Greece in the summer say that they will spend as little time in Athens as possible before hitting the islands. Big mistake I tell them. Athens is GREAT in the summer and I make a point of doing so many interesting things while I am here. First of all there are endless cultural events going on that you literally have trouble choosing where to go. 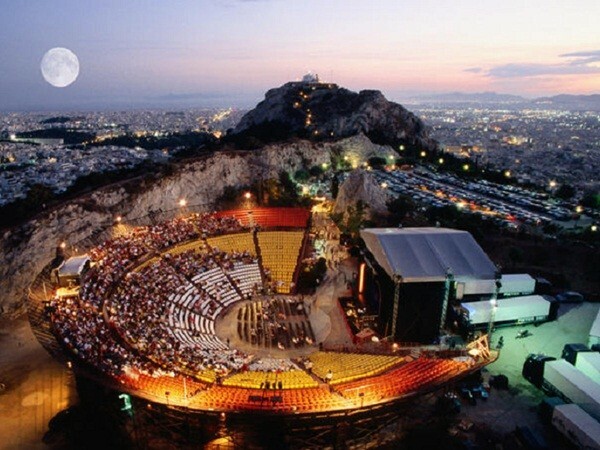 The Athens Festival promises many wonderful performances this summer at the most exciting venues of Athens. Check out their fabulous site and book your tickets today! I love Athens in the summer. Yes it’s hot but there are many spots where you can cool off or visit one of the lovely beaches. Discover the city in depth and have a great time doing it with an Athens Walking City Discover Tour. Or opt to savor the flavors of Greece on the off the beaten path of Athens and go for the Athens Food Tour or the Athens Cooking Lesson & Dinner and – “Oh My God” – It is such a delicious experience! Athens is one of the best cities in Europe for outdoor dinners, outdoor cinemas, people watching while sipping a delicious Frappe at one of the many bustling squares of the city, museum hopping or just sitting in a breezy cool park and reading. Don’t miss the next blog article on Summer In Athens series for a few suggestions on what to do if you are in Athens this summer. And by all means extend your stay. You won’t be sorry! This entry was posted in Around Athens, Athens city sightseing, Athens Food Tour, Athens Information, Athens News, Athens Walking Tours, Athens Walking Tours News, Cooking Lessons, Culture & entertainment, Gastronomy Tours, Historical Tours, Modern Athens. Bookmark the permalink.